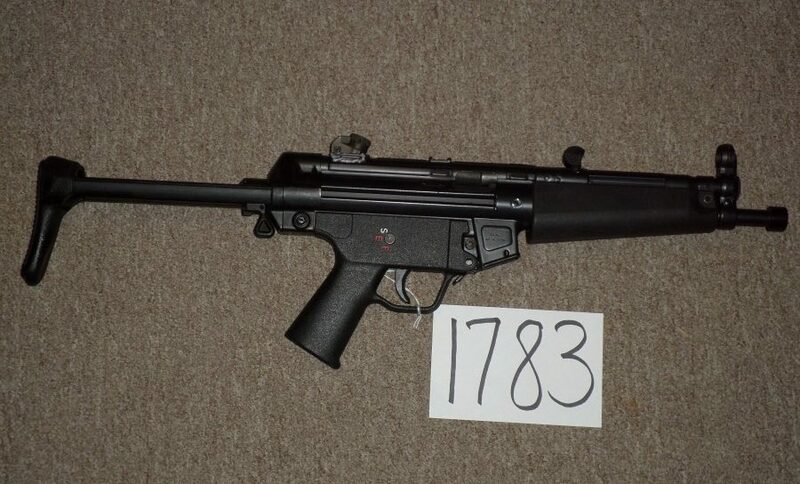 H & K MP5 in new condition with Hard Times Armory Sear. 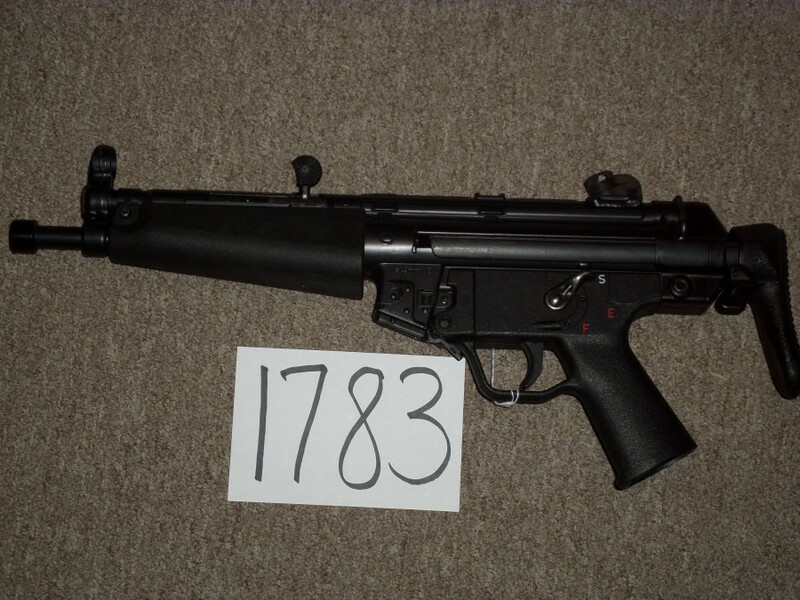 This is a registered SBR with a registered sear. Can be transferred as a single-tax or double-tax gun. Has threaded barrel SEF plastic lower, paddle mag release. Conversion by Creager. Nice gun.